It's a huge step forward for 3D printed organs. 3D printing isn't just for toys and models -- doctors at the Wake Forest Institute for Regenerative Medicine announced yesterday that they've managed to 3D print "living" tissue and organs that functioned properly when implanted in animals. The team, led by Anthony Atala, is already renowned for printing the building blocks for human bladders. But now they've reached another level entirely: They say it's possible to print structures large and strong enough for humans. They've printed muscle structures, bone and ear tissue so far, according to Nature. With a little more work, the technology could revolutionize the way we approach surgical replacements (and finally make plenty of sci-fi biotechnology scenarios a reality). At the heart of the discovery is the Integrated Organ and Printing System (ITOP), which is unlike any 3D printer we've seen so far. It uses "biodegradable, plastic-like material" to form the shape of tissues, as well as water-based ink to hold cells and a series of microchannels to allow oxygen and nutrients to flow through. The idea is to make strong tissue that effectively integrates into animals and humans. Sure, we've been hearing about 3D printed organs for years, but this announcement is notable for several reasons. 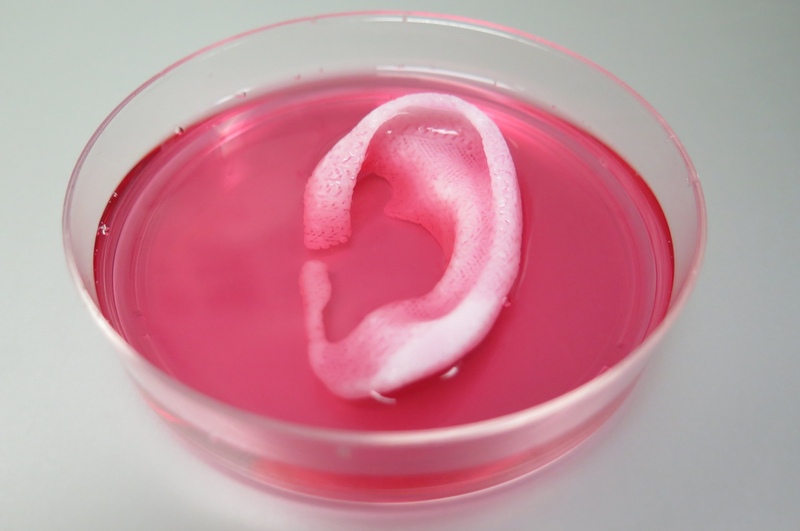 Atala's team used the ITOP to print human-sized ears that were implanted under the skin of mice and, over the course of two months, managed to form cartilage and blood vessels. They've also seen similar progress when implanting muscle tissue and skull bone in rats. At this rate, it might not be too long before we start seeing human trials.